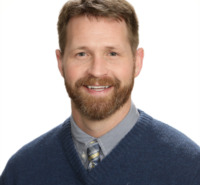 Rob Kallmeyer, PhD is an Associate Professor in Philosophy and Behavioral Science at The Christ College of Nursing and Health Sciences in Cincinnati, Ohio. He teaches courses in Ethics, Psychology, and Statistics. Previously, he was the Associate Dean of Liberal Arts and Sciences at the college and before that he was a Visiting Professor at the University of Cincinnati where he taught Psychology and Multivariate Statistics. He helped establish The Center for Healthcare Education and Research where he provides statistical and research design consulting to professors, researchers, programs, and medical teams. His consulting projects include everything from quality improvement to research on brain injuries.